Interested in a career with Skip2Bfit? 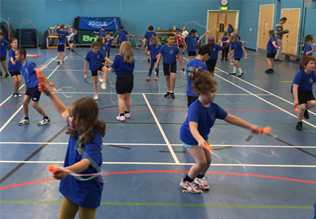 Do you have a sporting background and a good level of fitness? Are you able to infect people with your energy,passion and enthusiasm, particularly young people? Do you want to make money doing something you love… and they will love too? 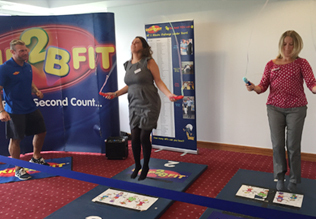 The proven trademarked Skip2Bfit programme is at an exciting stage. Due to massive national interest in support of this motivational trendsetter, franchise opportunities have become available in many parts of the UK. The programme and equipment is legally fully protected, providing each successful franchisee with a unique and highly lucrative business opportunity. Because we know it can make money as well as provide inspiration within entire educational and work-based communities, we would love to hear from you. 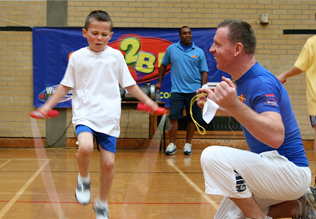 Following the success of Skip2bfit working Internationally we now also have International franchises available. To speak to us directly about this great opportunity, please do get in touch.